Eligible Candidates can Download Nursing Officer Admit Card at the Official Website of AIIMS Delhi. Applicants First Logon to AIIMS Exams Official Website. 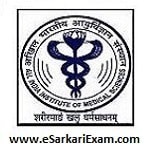 Click on Nursing Officer Recruitment 2018 for AIIMS Delhi Link.